How to Improve Sentence Quality While Attempting Writing Task 2? 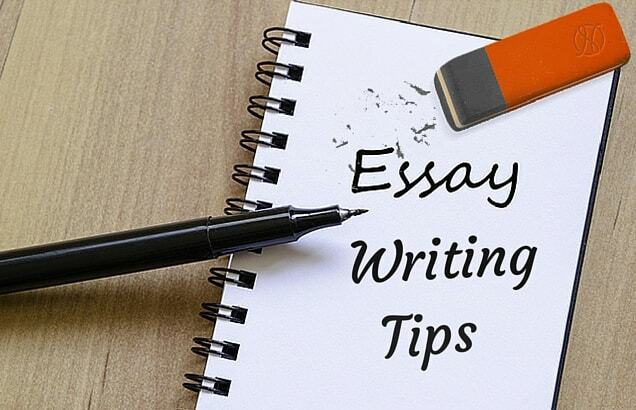 Home / IELTS Tips / Writing Tips / How to Improve Sentence Quality While Attempting Writing Task 2? Role of technology is important nowadays. Some people think technology has lots of benefits. Other people think that technology has many disadvantages. It will cause more harm to humans. Nowadays, technology has a major role to play in the life of humans. According to some people, there are various benefits associated with the use of technology. However, there are other people who believe that use of technology can prove to be detrimental to the mankind and nature. This explanation, on the other hand, is quite effective as it uses complex structure with the use of sentence connector and good vocabulary. How to improve a sentence structure? There are different ways of improving the structure of a sentence to make it better, effective and impressive enough leading to good band score. Note: Avoid using these connectors excessively which would otherwise lower the impression of your writing. One of the effective means of improving a sentence is when you replace normal words with synonyms to improve quality of writing. Note: Using vocabulary or synonyms incorrectly brings negative impression. Hence, always use the words about which you are comfortable with and learn the complex vocabulary thoroughly before using in your writing. Co-education schools are good for the kids. They learn more effectively. They also gain more understanding of the outside world. It is considered that co-education schools are the best institutions for children as in these schools, they are not only able to learn more effectively here but also gain better understanding of living in the outside world. In this statement, you find all three statements are joined to form a complex sentence which is comparatively effective. You can use complex sentences using words such as even though, although, however, but, because, if, in order to etc. Using complex sentences is a sign of advanced level of English. If you can incorporate or master the art of using complex sentences without making any grammatical mistakes, you are bound to score 7 band or even abovre. Living in a house is good. But living in an apartment brings problems. People become independent when teachers teach them finance course. Attending party is important to make interaction with people. I do not want to dependent on public transport. I want to own my own car. I did a lot of trips during in the past. Staying at home was boring. I preferred going out on weekend. I would like to talk about a restaurant is Taj restaurant. It is my favourite. Computer is an electronic device. It is being used every day for different purposes. I saw an accident. It happened yesterday. Bus driver was very fast driving. It hit a car suddenly. I read newspapers daily because it will give more accurate news. We can get what happens in the world. All parents should teach their children well. Children learn mannerism from parents. As compared to staying in a house, living in an apartment brings problems. On learning finance course taught in the institutions by teachers, people become independent. Attending party is important as we can interact with many other people there. Since I do not want to be dependent on public transport, I want to own a car. I had enjoyed going to a lot of trips in the past since staying at home was boring and thus I used to prefer going out on the weekend. I would like to talk about my favourite restaurant which is Pizza Hut. Computer is a useful electronic device as it is being used every day for various purposes. I saw an accident that happened yesterday when a bus driver who was driving very fast suddenly hit a car. I read newspapers daily because it provides accurate news of what happens in the world. Children can learn a lot from parents who can teach them well about mannerism.